It is a great pleasure for me to be appointed as the president of the Japanese Society for Amino Acid Sciences (JSAAS) following the presidency of the first term. As the society has started the second term, fiscal year 2009-2010, with new and reliable board members, I will do my best as a president to steer JSAAS for the next two years. During the first term, we made significant achievements at two academic meetings. Encouraged by increased popularity of the words “amino acids” in the vocabulary of ordinary people, our society, which aims at compiling new studies of amino acids, has attracted interest from various sectors. As a result of the increased awareness of “amino acids”, many research studies have been undertaken with a hope to find new functions for amino acids. The main activity of our Society is to organize academic meetings and a variety of symposia. The third annual meeting will be held at Kyoto Prefectural University on September 29th and 30th this year, under the direction of Prof. Ryuhei Kanamoto. A 2nd summer symposium is planned at Futsukaichi Hotspring in Dazaifu, Fukuoka on July 19th. 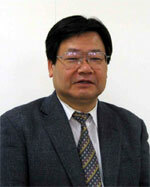 The organizer of the symposium is Prof. Shigeki Furuya, Kyushu University. The participation of many members is expected. Another activity we have done is publication. Our first publication is the translation of “Protein and Amino Acid Requirements in Human Nutrition: Report of a Joint WHO/FAO/UNU Expert Consultation.” The translation committee, chaired by Prof. Kyoichi Kishi, translated the book into Japanese and it was just published in May from Ishiyaku Publishers, Inc. The book deals with fundamental issues in the field of amino acid study. We have been discussing the topics raised in the book at The Research Committee of Essential Amino Acids for over 50 years but have yet to come to a conclusion. Upon the book’s revision long-waited for 22 years, our society made the decision to take over the work to translate it. The translation will be distributed to all members free of charge. In the next place, “Amino Acid Data Book 2010” is currently being compiled under the direction of Prof. Takashi Nagasawa, Iwate University. Other tasks we are facing include discussions on the unification of terms related to amino acids, and on SI traceable amino acid standards. The unification of terms is a formidable challenge in a non-English speaking country like Japan that has a culture of translation. The challenge needs to be addressed promptly as government level discussions will address the development of automatic translation devices. The issue of SI traceable amino acid standards is a part of a recent trend toward global standardization of biomedical measurement. Though this is a relatively new global issue, it is imperative that Japan takes the initiative in compiling proposals for producing and providing amino acids to the world. These are issues with complicated backgrounds that cannot be solved by JSAAS alone. Still, I believe it’s vital that we begin thinking about these issues now so that they might be eventually tackled. JSAAS is an academic society specializing only in amino acids. It will be important for us to interact with other academic societies in various fields dealing with amino acids. With this mission in mind, we will organize a panel discussion in cooperation with the Japanese Society for Surgical Metabolism and Nutrition on July 10th. The topic will be “Amino Acid Research: A Symphony played by Basic and Clinical Studies.” I would like to express my deepest gratitude to the head of the organizing committee, Professor Yoshikazu Mimura of the University of Tokyo. Further cooperation with other related academic societies will be sought in the future. The satellite symposium, “Advanced Knowledge of Amino Acid Research in Human Health and Disease” will be held on October 4th during the 19th International Congress of Nutrition (ICN2009) in Bangkok, Thailand. The symposium will be co-organized by the Japanese Society of Nutrition and Food Science and International Council on Amino Acid Science. With the help of Dr. Dennis M. Bier, a respected authority in the field of amino acid nutrition from the United States, we can provide an invaluable opportunity to exchange information of the latest trends in amino acid research. Since we participated in the 10th ACN in Taiwan last year, we strongly believe that participating in international conferences abroad will promote further research exchange. Judging from the current trend of expanded amino acid use in many countries, it is estimated that there will be more researchers in the Asian region. We strongly hope to organize our own international conferences in the future. Our original goal is to facilitate the spread of new knowledge to society through the promotion of latest research. At least in the field of amino acids, our society is the only group of researchers around the world with such a purpose. It is one of the great tools for us to let our work be known internationally, including making an English homepage. Strong support and cooperation from our members is essential to achieve our goals.